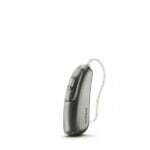 Introducing Phonak’s receiver in the canal (RIC) range of hearing aids, the Audeo B. 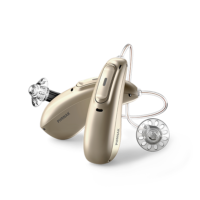 This fantastic range of hearing aids have been designed with state-of-the-art technology, producing a crisp and natural sound quality. 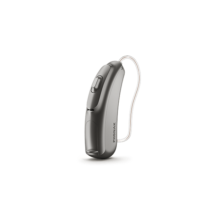 AutoSense OS is the remarkable platform powering these devices, allowing various programs and features to work hand in hand to accurately identify any hearing environment. By boosting both sound quality and speech quality, this outstanding platform can deliver exceptional hearing experience in every environment. With the Audeo B hearing aid, there is a 20% increase in understanding speech, a result of an inbuilt automatic selection feature that selects the optimal listening setting for whatever situation a user is in. Understanding speech in noise has also improved by 60% with the use of their zoom function, this incredible feature has the ability to zoom into a single voice in some of the noisiest environments, although it doesn’t stop there. 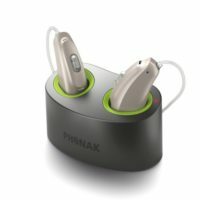 The Phonak team has also achieved a 10% improvement in hearing softer voices whilst communicating, making all conversations much more natural in any situation. The Audeo B range is available in 4 different models, each designed to cater to users with hearing losses from mild to severe. 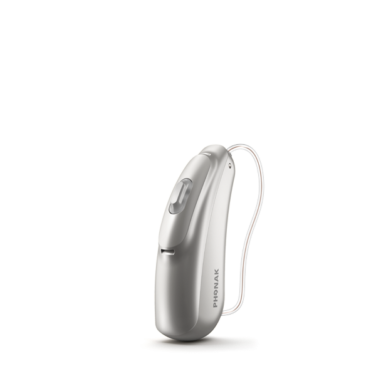 Hearing aid models include the Audeo; B-10, B-312, B-312T, B-13 as well as the Audeo B-Direct and Audeo B-R.
A majority of the Audeo B family ranges from smaller sizes (Audeo B-10) to the larger sizes (Audeo B-13), which are designed to cater milder hearing losses through to more severe hearing losses, however Phonak has also created the Audeo B-Direct and Audeo B-R for effortless hearing. The Audeo B-direct has the capability to connect directly to any mobile device, whilst the Audeo B-R has been designed with an inbuilt lithium ion rechargeable battery. 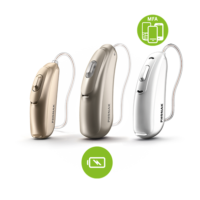 This range of hearing aids are available across 4 performance levels (except Audeo B-R, only available in 3) beginning at their essential level B30 to the top of the range performance level, B90. The B30 and B50 performance levels are more suited for individuals who live a simpler lifestyle, with the B70 designed with more programs and features and lastly, the B90, the premium performance level for those who lived a faster paced lifestyle and are exposed to a larger range of hearing environments.